If you've visited the Arboretum lately, you may have noticed some interesting new denizens. Recently, a fearsome dinosaur came to lurk beside the pond behind the barn. But the Landisauris is not the only sculpture on our grounds. 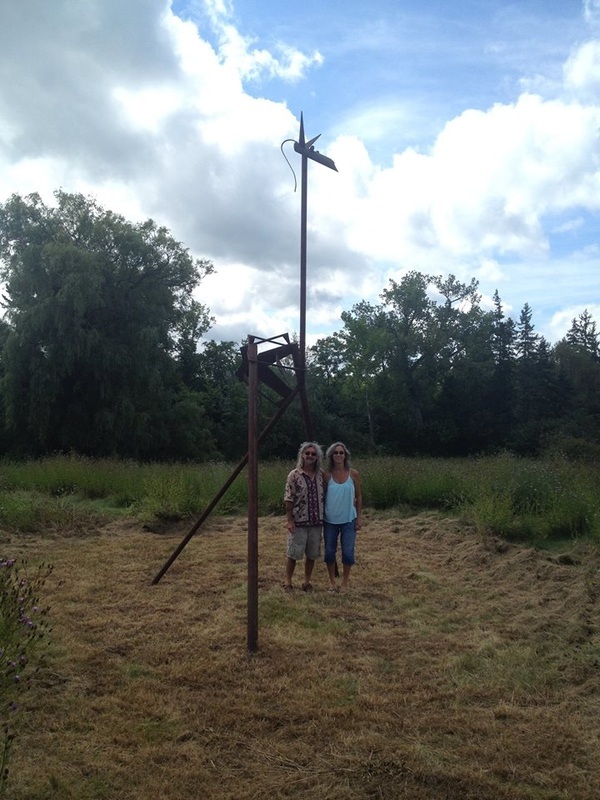 Wonderfully oversized works by artist Samuel E. Bates are placed in the fields around the Arboretum. He started it with “All There Is To Be”, a 21’ tall sculpture from his rusty metal series located at the entrance to The Meeting House where Samuel also originated the “Full Moon Music Series” inspired by the concerts at his residential private stage. This music series is intended to give local artists a platform to play their original music in a wonderful listening room. His second sculpture, “August”, a 20’ animalistic piece from the same series, can be seen by the lower pond near the barn. 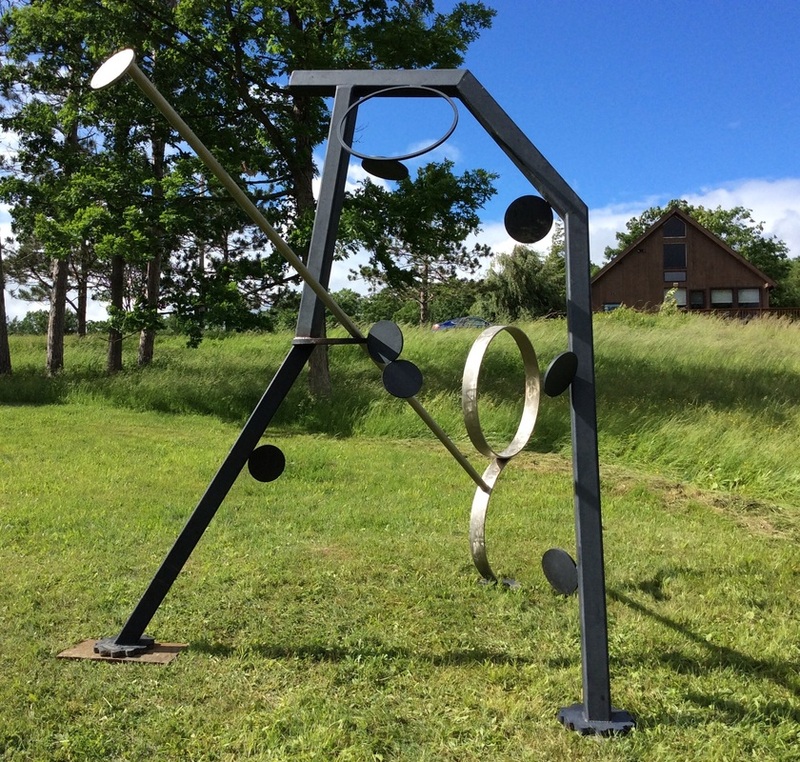 Samuel’s third installation is “A Shattered Life” - a painted steel and stainless steel piece depicting the strength and fragility in all of us, is placed at the head of the new lilac trail. 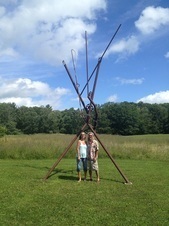 We hope to continue to build our sculpture trail, adding to the intriguing sights at Landis!